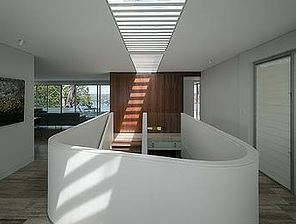 This renovation has been beautifully described by the architects as a “contemporary rebirth of an undervalued, 60’s pad”. MHM is a huge fan. We are losing so many well built undervalued buildings when they can often be successfully adapted to work with modern design and contemporary needs. 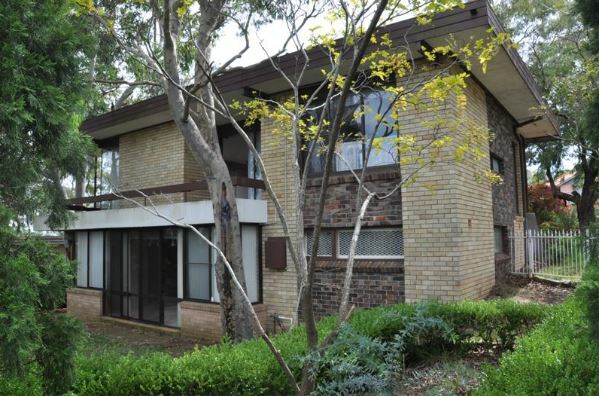 This house was built in the late 1960s but the original design had suffered a number of insensitive additions and infill. Rather than re-building the owners elected to focus on the original features and incorporate them into a contemporary design. Features that the architect (and possibly the owners) identified as having to go included the mess of a lower floor infill of weird rooms and floor levels, the internal staiurcase, and a general mission brown aesthetic that had made the rest of the place “opaque”. 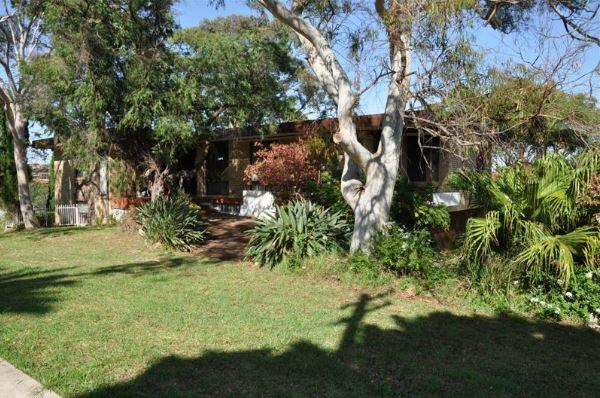 Photos of the original house from 2009 sale brochure. Front and back. 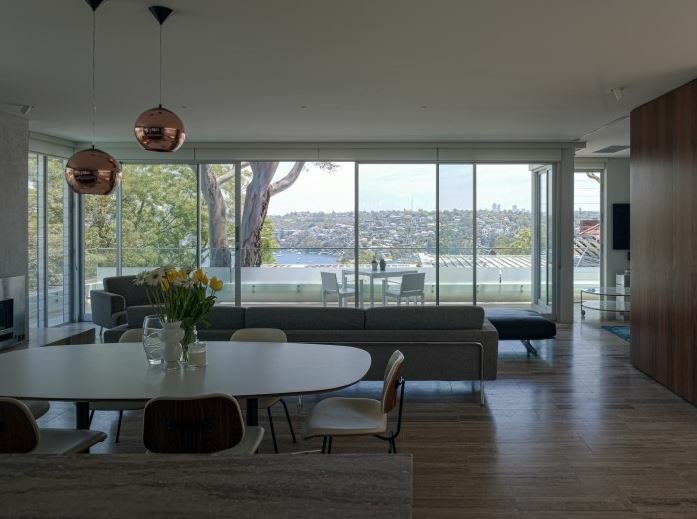 The design approach was to open up the interiors, inserting new windows to better take in a wide harbour outlook, and to tweak some of the external structural details. There is no doubt that there has been a lot of alterations but it is far from a rebuild. The changes have been subtle. 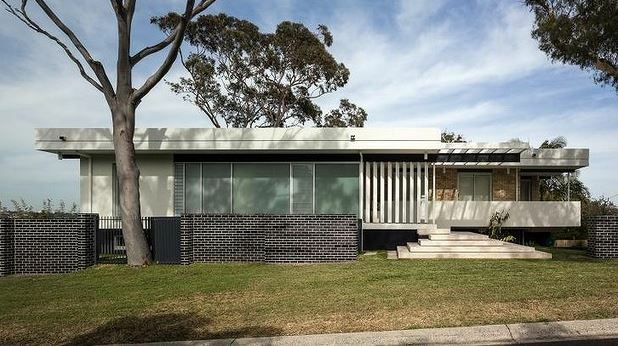 By accentuating “the whole horizontal plane” the architects have managed to design a house that remains convincingly and tastefully mid century in style. Works included thickening up the fascia at the roofline, moving the entrance and emphasising it with the staircase cascade replicating vertical louvres, and the introduction of an overhead timber canopy A new dark brick fence in two shades of black, glossy and matt hides the understory from the street and acts to again emphasise the building’s “horizontality”. 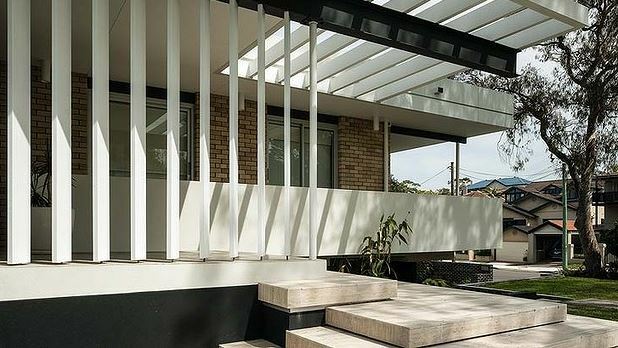 The travertine marble-tiled front stairs and white-painted and louvered wooden porch screen are both features that appear to be architect-designed mid-century but are actually modernist style new additions. 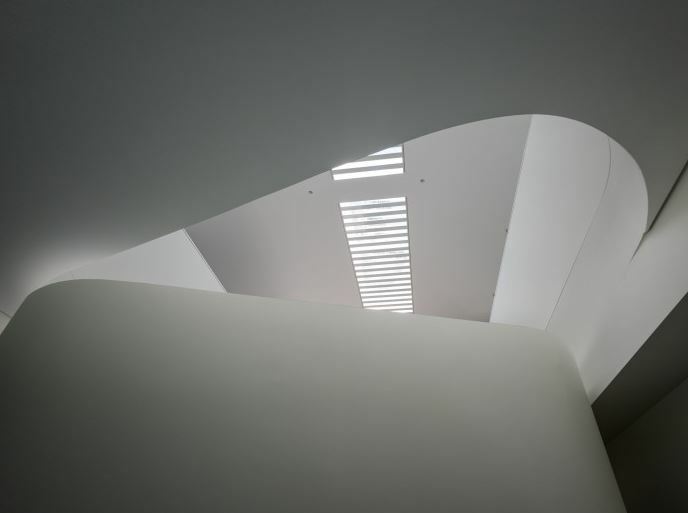 Internally, a new stark white stairwell, lit overhead by a skylight, leads down to the TV, rumpus, downstairs bedroom and ultimately the new pool. The stairs serve to link the two levels and to introduce light into the under croft. Set in the heart of the house “and clear as a new sculptural installation that creates an experience on arrival and is something you have to walk around”, the statement stairway that is breathing new life and light into the house, replaces what had been, according to the architect, “a crummy little stair in a back cupboard that had led down to a rabbit warren of rooms”. The result is brilliant and may just get people thinking about what can be achieved with good bones! Sources: TDDP Architects website, 'Design trends take on the mid-century look' by Jenny Brown, Domain, February 23 2015.